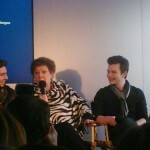 01 - Chris imitating his mother and talking about the real life similarities (or differences) between him and Carson. 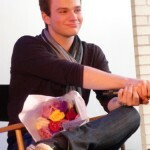 02 - Someone tells Chris how we’re all proud of him and asks about his intention of SBL becoming “an emotional roller coaster” and his inspiration for the film. 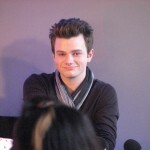 Note: Chris tearing up, omgjslskg. 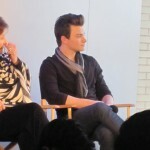 03 - The cast/panel leaving aka my second freak out because Chris is flawless and beautiful, seriously. 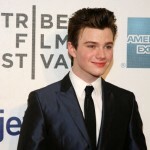 Chris Colfer is 21, a slight kid who is popular from the TV show, “Glee.” But tonight the first film he’s written–and in which he stars–called “Struck By Lightning” opened at the Tribeca Film Festival. 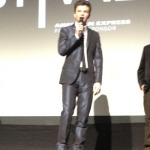 And now Colfer has been struck by lightning, since his movie– directed with a charming light touch by Brian Dannelly–is a total hit. If this were Sundance, people would be calling “Struck by Lightning” the new “Juno” or “Napoleon Dynamite.” Indeed, I’m sure Fox Searchlight is all over the rights since there had been a previous distributor’s screening. 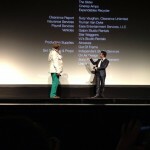 Just the selection of “SbyL” has the fingerprints of Geoff Gilmore, running Tribeca after 20 years of Sundance. 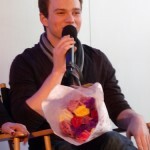 Colfer–he’s a child, really–shows a huge future. I can tell you exclusively that he’s already written his next film, described as”dark” and not a comedy, with a director lined up and the deal being done. Dannelly as director has been very smart. He’s got a cast of top notch supporting players in the adults–Alison Janney, Dermot Mulroney, Christina Hendricks (her best non “Mad Men” role). In the roles of the high school kids, too, Dannelly has been wise. Because “SbyL” is set in a high school in a fictitious small town called Clover. 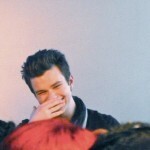 And the kids that Colfer’s character, Carson, must deal with could have been stereotypes. But they turn out to be well drawn, with real personalities and stories. Rebel Wilson, who was the obnoxious roommate of Kristen Wiig in “Bridesmaids,” totally tranforms herself here as Carson’s only friend in the school. How many breakout roles can you have? This is her latest. 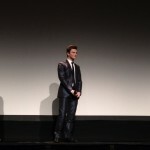 The Q&A after the screening was interrupted by the appearance of Emma Watson from “Harry Potter 1-100.” All of the questions from the audience were directed to Colfer by “Glee” maniacs, which is too bad. 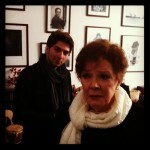 Playing Carson’s grandmother, and Janney’s mother, is the legendary and amazing Polly Bergen. She’s lovely in all of her scenes, and it was quite a get for producer David Perlmut and co. to get her. 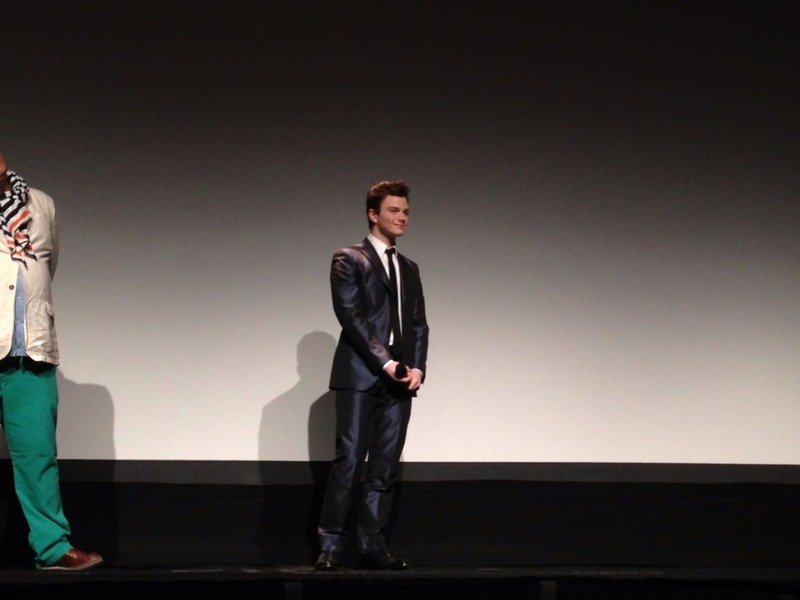 After the screening, I asked Colfer if he really knew what a star she was, and he rattled off a bunch of her credits. “She’s like a touchstone for me,” he said. The kid is nice, and he’s going places. 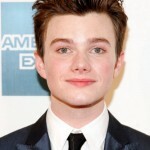 Chris Colfer (Glee) makes his screenwriting debut with Struck by Lightning, a satirical comedy about surviving high school. The film is directed by Brian Dannelly (Saved) and Colfer stars opposite a talented cast including Allison Janney (The Help), Christina Hendricks (Mad Men), Dermot Mulroney (J. Edgar), and Sarah Highland (Modern Family). 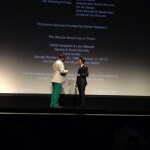 PPLA attended the world premiere at the Tribeca Film Festival. This coming of age comedy literally opens with a bang when seventeen year old Carson Phillips (Colfer) is struck by a bolt of lightning. The incident is the spark to a wickidly funny story about a young man who devises a blackmailing scheme to improve his chances of getting accepted into a top college…but what he accomplishes is much more profound. 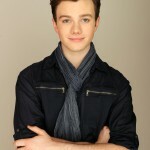 At the age of sixteen, Chris Colfer was a high school student- and not just playing one on the hit tv series Glee. He wanted to write a screenplay and began developing characters for his story. In his junior year, he turned the idea into an Original Prose and Poetry (OPP) for a Speech and Debate event where he played every character in the ten-minute. piece. This refreshingly authentic comedy is sure to keep you laughing. The chemistry among the cast was excellent, and I predict several awards for Allison Janney’s witty but troubled performance as Carson’s (Colfer) mom. 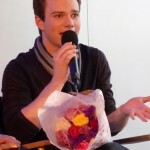 Chris Colfer Outdoes Tina Fey with His Script for "Struck By Lightning"
I've never wanted to be a professional critic because I always feel there are so many opinions that are unexplainable. Case in point: While Tina Fey kills it for me with her take on the state of the entertainment industry on "30 Rock," I've never been able to articulate why "Mean Girls" is just not my thing. It's fine, just not wear-out-the-VHS good. This is just something that people who love me have had to come to terms with without really understanding. 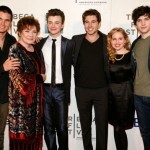 And while I don't want to overstate my appreciation for Brian Dannely's Tribeca World Premiere "Struck By Lightning," based on the freshman script from Glee's Chris Colfer, the film surpassed my expectations...and was actually really good. It is, like "Mean Girls," a film about the troubles of fitting in high school that is filled with plenty of camp and the absurd. But it's written by a gay kid. In the film, a gay kid from a small town doesn't know how to do what it is he wants to do; the opportunities don't seem to be in the town limits of Clover. Okay...I confess, the similarities with my own life made me sentimental. The plot is outlandish: a revenge fantasy where Colfer's character, Carson Phillips, uses the dirt he's dug up on his school's most popular students to help him with a project designed to get him into his dream school, Northwestern. The film is definitely a fantasy -- it is, in fact told after Carson has been struck dead by lightning -- and so it ends (unsurprisingly) with a message about making the most of your time on Earth. It feels, though, like exactly the fantasy I'd like to see late at night on a cable channel when I was twelve or thirteen, wondering why I didn't feel I fit in. 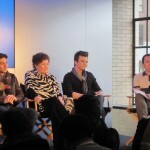 In introducing the film, director Brian Dannely said that when he got the script, he was told it was written by one of the Glee kids, and he said "Oh god...." It turned out, he said, that the script was actually good. The script felt a bit like some of the finest contemporary sitcom writing, but that's not necessarily a bad thing when you compare that to most indie comedies these days. I don't doubt that the quite capable script helped the team snag some fine actors: Allison Janney, Christina Hendricks, "Modern Family"'s Sarah Hyland, "Bridesmaids"' Rumor Wilson, "The Office"'s Angela Kinsey, and Dermot Mulroney. All give 100%, especially Wilson, Kinsey, and Janney. 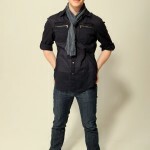 And of course, Mr. Colfer is a star who is all too easy to ignore while he is still on Glee. 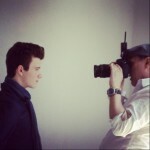 Just watch: Colfer will be one of the most interesting pop culture voices of this generation. I've been sure of this since seeing him co-present Jane Lynch with a lifetime achievement award two years ago at Outfest. His comic smarts far exceed what we've seen on the screen so far. "Struck By Lightning" is exactly what he needed to do. Get it, girl. Struck By Lightning could be your typical dark high school comedy fare; the outcast suddenly becomes the proud symbol of personal individualism therefore helping the other kids expand their own horizons. 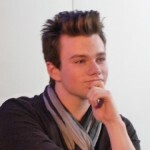 In fact, I'm not sure Struck By Lightning would be anything out of the ordinary if not for its cast and really impressive decisions made by writer/star Chris Colfer, that's right, Kurt from Glee. First of the better decisions was the lack of a romantic subplot. Usually we see these high school movies setting up the beautiful sensitive type with the beautiful caustic nerd or something. Colfer strays away from this so gracefully that you don't even notice that the plot was missing until you start to mentally compare it to other high school centric films you've seen. Additionally, most of the characters are generally unlikable. Nobody, including the protagonist Carson, his mother, his father, his schoolmates, is a particularly sympathetic or even nice. 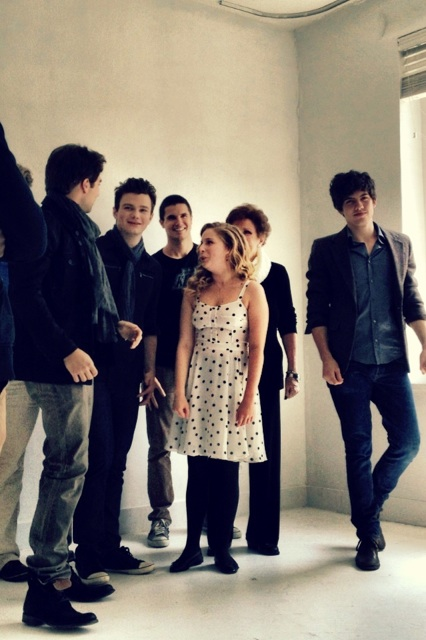 They're all trapped, like Carson is, in the never ending disappointment ride called life. These choices push Struck By Lightning outside of the realm of a typical dramedy, even though the staples linger elsewhere (angsty teen voice over, student sleeping with teacher...). The film is casted perfectly with command performances by Allison Janney and Polly Bergen. Overall, it's a good start for Colfer's writing career and I can't wait to see how his writing develops over the next few years. 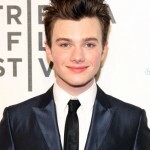 Chris Colfer is best known as a star of the television series “Glee,” but on Saturday night in Lower Manhattan, he could add a new title to his resume: King of the Tribeca Film Festival. 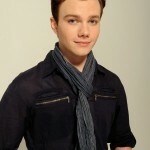 Directed by Brian Dannelly, “Struck By Lightning” is a comedy set in a small-town high school, where Colfer’s character, Carson Phillips, is the overachieving but underappreciated editor of the school newspaper, and an aspiring journalist desperate to get into Northwestern University. He’s also outspoken, acerbic and brutally dismissive of most of those around him, from his classmates to his teachers to his pill-popping mother (Allison Janney, in a delicious scenery-chewing performance) and absent father. 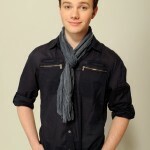 As a gay teen who didn’t have a lot of friends but liked to hang out with “the lunch ladies,” Colfer said he vented in his script because he wouldn’t dare do it in real life. It does not require a spoiler alert to reveal that Carson doesn’t make it to Northwestern: The title of the film comes from what happens in its first minute, when the character is struck by lightning and killed in the school parking lot. 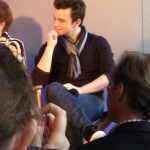 Colfer says that moment was the genesis of his script, which he began writing while he himself was in high school. “I’d just finished editing the literary magazine, and I was the last to leave the school,” he said. 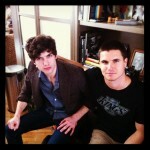 “I was tired and frustrated and mad that half the literary magazine was stuff that I did. I was walking to my car in the parking lot, my parents were out of town, and it was kinda cloudy. I thought, if I was struck by lightning right now, it’d take a few days to find me. The film, which is narrated by Carson from the Great Beyond, is a smart and twisted and funny look at high school cliques, popularity, blackmail and the absurd but at-the-time-important rituals that are fodder for many a high school comedy. 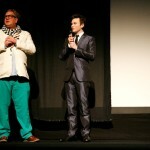 Colfer’s script is darker than most films of this ilk, and dismissive of the usual teen-movie tropes. Nothing, after all, deflates the suspense of a “will he get into the college of his dreams?” plotline like the certain knowledge that the character will be dead before graduation. 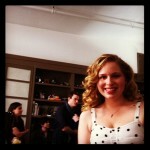 You could call “Struck by Lightning” a “Heathers” for 2012, though with a significantly lower body count. 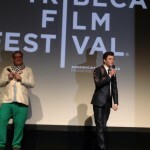 It’s not a perfect movie by any means, but the film is fresh and energetic – and if Colfer really does have a “Glee” fan base as avid as the ones who showed up at Tribeca, the film has a real shot commercially. 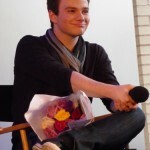 And if it paints Colfer as the typical actor who really wants to branch out and have more control over his roles – “I am the walking cliché with this,” he admitted – it also allows him to do something that he said he’s wanted to do for as long as he’s wanted to act. 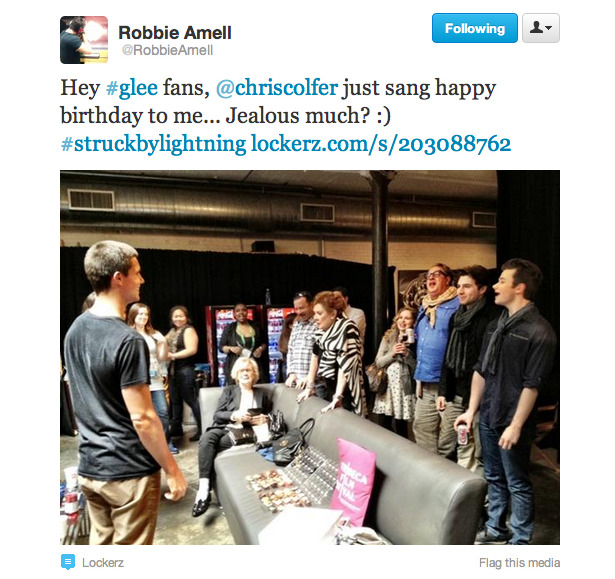 When the success of “Glee” emboldened him to begin shopping his script around, he said he was understandably met with skepticism, even by those on his own team. 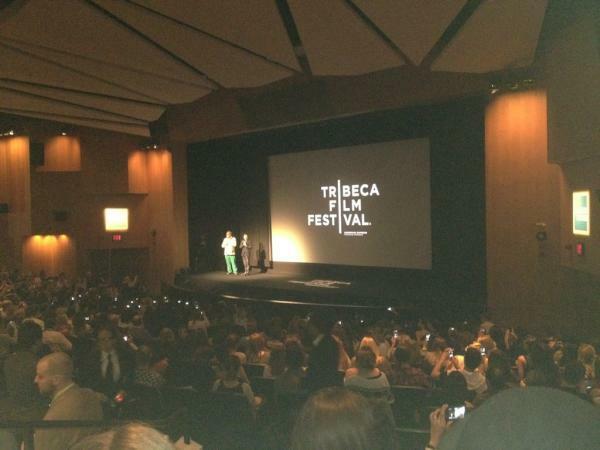 The Tribeca Film Festival is in full swing here in New York and rather than reference other outlets’ reviews, I can tell you about the films myself, as I’m covering the event. 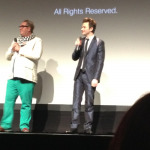 Thus far, Struck By Lightning is a standout, proving Chris Colfer isn’t just a triple threat; he can act, sing, dance and write. By now you may have heard of ‘Struck by Lightning,’ one of the more popular films premiering at this year’s Tribeca Film Festival. 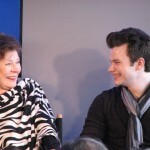 Famous for starring and being written by Glee’s Chris Colfer, as well as featuring an all-star cast of Modern Family’s Sarah Hyland, Mad Men’s Christina Hendricks, Allison Janney, and veteran actress Polly Bergen. 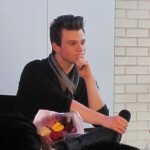 The film tells the story of Carson (Colfer), who after being struck and killed by lightning, recounts the way he blackmailed his fellow classmates into contributing to his literary magazine. 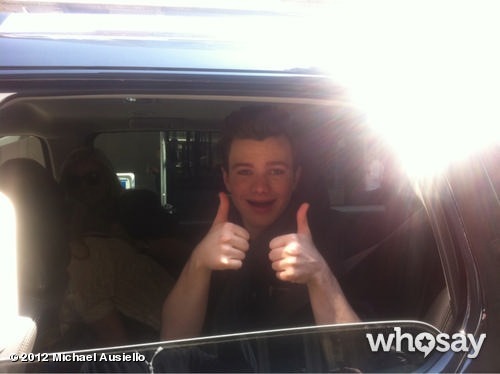 That’s the short and sweet version, but thankfully Colfer has created a much more complex story. He took what could have been a typical teen comedy and put a different spin on it. It’s dark, often cruel at times, but that’s how life really is. While the film centered on mostly Carson’s journey, for me this film was about a young boy with huge dreams for the future and an older woman stuck in the past. Said older woman being Allison Janney who portrays Carson’s mother. I wouldn’t be surprised if she received awards recognition later this year, she absolutely killed it in this role. She took an extremely unlikable character and turned her into a real person that you actually cared for. I loved this character and so desperately wanted her to find happiness. 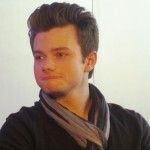 So how was Colfer in his first non-Glee role? Pretty much the same as he always is, fantastic. 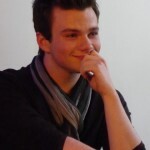 Whether you enjoy ‘Glee’ or not – I tend to find the show badly written and cheesy – Colfer is a phenomenal actor that lights up the screen whenever he is present, quite like lightning (pardon my pun). Not only was this character a spit-fire and extremely witty, what I loved so much about Carson was that he had no love interest in this film. Almost all teen flicks feel the need to have a romantic subplot for the lead character but that was never even explored which I really appreciated, not everybody needs to fall in love in high school! My one qualm about the film? Carson’s classmates amount to nothing more than cliché stereotypes. Don’t get me wrong, the characters were enjoyable and funny (particularly Sarah Hyland as cheerleader Claire Matthews and Roberto Aguire as the womanizing foreigner), but I wish we could have gotten more out of them! With the exception of the hilarious Rebel Wilson as Carson’s strange best friend, by the film’s end the rest of his classmates were still generally the same characters when we first met them therefore not that likable. I wish there could’ve been more growth with them, but that’s not what this film set out to do and I suppose it’s a good thing because it was more realistic in that sense. I don’t know about you but in my high school the bitchy cheerleader and dumb jock never broke out of their stereotypes either. 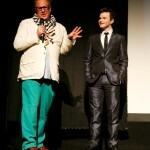 ‘Struck by Lightning’ manages to be inspiring in two ways, first with the character of Carson who stands up for what he believes in and stops at nothing to get what he wants, and the second is the story behind the film, Chris Colfer wrote this imaginative screenplay at the ripe age of 16 and here it is on the big screen with this tremendous cast. If that doesn’t inspire you to chase your youthful dreams I don’t know what will! Scene Spoiler! Two Words: Cupcake Wars! 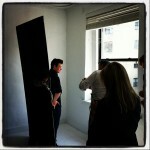 Behind The Scenes 3x16 "Saturday Night Glee-ver"
Road to... Nationals!!! Spoilers and Pictures! 3x17 "Dance with Somebody" Stills! Glee Recap: Who Got Burned by a Disco Inferno? Dianna Agron Round Up: New Candids & New Manager! William McKinley High School Yearbook Scans! 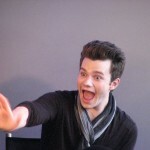 Message to Darren Criss... SHHHHHHH! Cory & Lea @ Coachella 2012 "Monchella"
3x17 "Dance With Somebody" Cover Art!